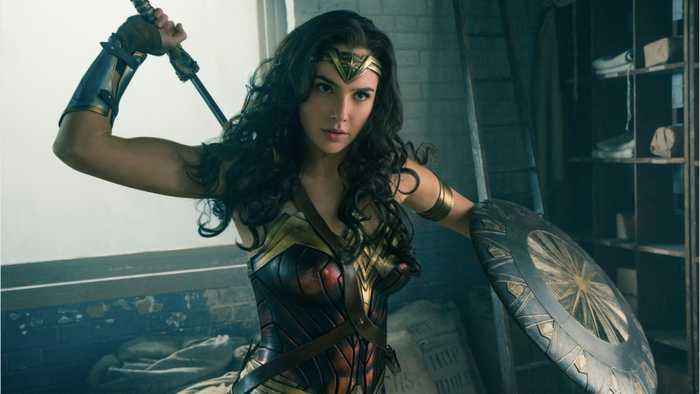 newsR > News Videos > Will 'Wonder Woman 1984' Appear At Comic-Con? Will 'Wonder Woman 1984' Appear At Comic-Con? Will Wonder Woman 1984 come to Comic Con International in San Diego next month? According to ComicBook.com, Warners will dominate Comic Cons Hall H this year In addition to Aquaman and Shazam!, Warners will show off Wonder Woman 1984. Deadline is reporting Wonder Woman 1984 will be introduced by Wonder Woman herself, Gal Gadot. Has not yet commented on the Deadline report. Wonder Woman 2 is set for release on November 1, 2019.